Cold brew coffee, farm-fresh milk, and rich chocolate take center stage in this signature creation from Tony’s Coffee and Smith Brothers Farms. 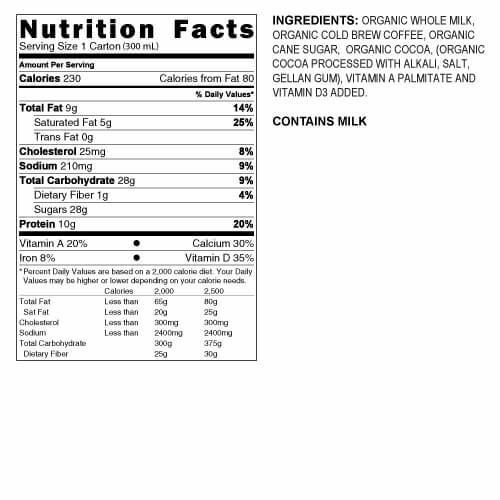 Made with fair-trade cold brew coffee, farm-fresh organic milk, and chocolate, it’s a rich, natural recovery drink. The cold brewing process brings out the full, bold flavor of Tony’s Coffee without extracting the acidity you may find in hot brewed coffee. Add to your cart today. 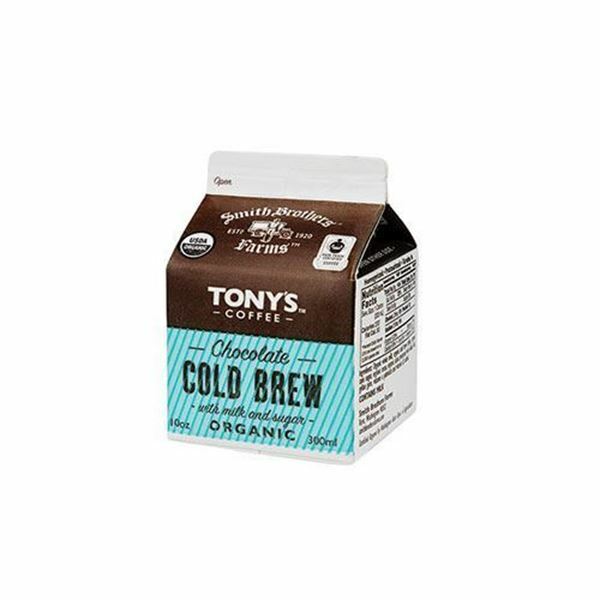 As a coffee connoisseur I am pleased to say that their new Tony's coffee cold brew is amazing. My spouse doesn't even like coffee and they drank three down right away! I love that it is organic! This is terrible. It's bitter and chalky. It has the taste of a 90% cacao bar with an aftertaste vaguely of bile. I had hoped that the addition of chocolate milk would make it reminiscent of an iced mocha, but nope. grest drink, have been enjoying these for several months now. Being organic is a definite plus! I love the combination of coffee and chocolate milk. It's very refreshing.